I have taught in the Springs School for 35 years. I live in Springs. I know as well as you that our hamlet was promised a lot in the last four years by the majority Town Board. But they didn't deliver. Even worse, one of the most valuable and fragile pieces of open space on Accabonac Harbor dedicated to the Springs community was snatched under the Board's very eyes in a real estate deal with a major contributor to the Board majority. The promised purchase of small lots to decrease Springs population density - 5000 now with buildout allowing 10,000 - and to control burgeoning school taxes never happened, ignoring voters’ overwhelming approval of a $5 million dollar bond for just that purpose. Code enforcement, though promised, is non-existent in Springs as to blatant overcrowded homes, unhealthy and stressful for those in them and for those homes around them, breeding conflicts and distress among neighbors. Now, the gateway to Springs where Fireplace begins is challenged with more development predicted to result in increased traffic congestion, (causing noise pollution and parking problems). “We fell asleep at the switch,” apologized the Deputy Supervisor. They apologize; we have to live with it. Those of us who live in Springs experience every day the back-up at the triangle on North Main. And this Town Board majority (with over half a million dollars paid to date to their out of town consultants, and, after four years spent in producing an update to our landmark comprehensive plan) insists on a last minute public hearing in July on a document made public a mere two weeks earlier, a so-called smart growth document that doesn't work for our town and severely impacts Springs. This same majority Town Board and their out of town consultants insist in this document on intensive development in the center of Springs increasing density, traffic congestion, air and noise. pollution, groundwater overload resulting in the need for sewer - an urban development center in the heart of our hamlet – all the things Springs doesn't need, doesn't want. Moreover, we told them so, but they refuse to listen. How come Springs takes the brunt? Why is it allowed to happen to our hamlet? Folks have their biggest asset in their neighborhood: their home, their safe haven. No neighborhood in town should be wrecked by careless and wrongheaded decisions of people in government who don't even live there, That practice has to change. If we forget partisan party politics (which is why I am circulating petitions on the Bonac Presentation Line) and work together for our homes, our families, our neighborhoods, our town, things can change. If I didn't believe that, I wouldn't be running for Town Board. We can surprise those who rake us for granted and leave us with a string of broken promises from Gardiner’s Bay to Three Mile Harbor, from Accabonac to Hog Creek. Because Springs has clout. Because to win a Town election some now think the way Springs goes, Bub, so goes the Town. 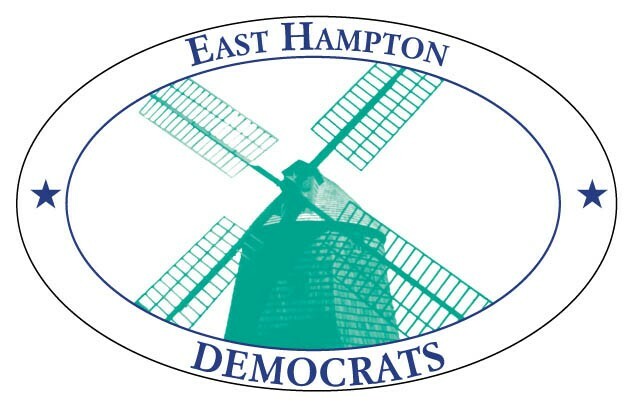 Make no mistake, I want to work for all East Hampton, our special and diverse town. But the legitimate needs of Springs cannot be neglected nor sacrificed anymore. Anyone who knows me knows I am not afraid to stand up and make those rough decisions. But I need your help.